Feel free to color a page or two and scan it in and email it to me (mwshorts AT yahoo DOT com) with your name and I'll be sure to post it here! Agreed. This is great stuff indeed! Thanks for the book! 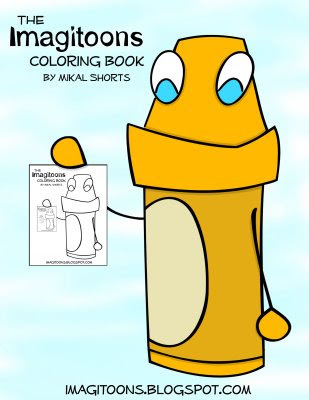 I noticed the file name is "Vol 1"...any plans for more coloring books?? I just featured your work on my blog bro. Check it out! TylerS: We'll have to see on more coloring books, it took a while to get this one out, but it's not out of the picture! Jaydee: Thanks Jaydee!! the way it reads you're going to feature (morse) one of these days too! sweet! !